Submitter Renee suggests this is where shoplifters can park. 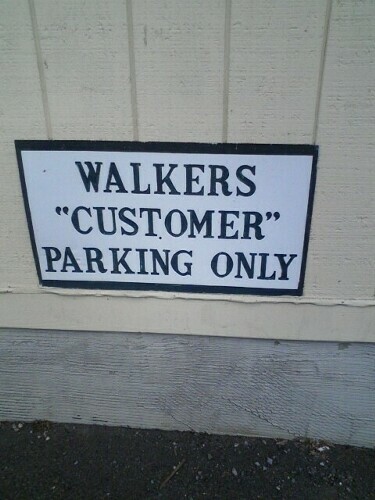 Walkers wouldn't really need to park would they? 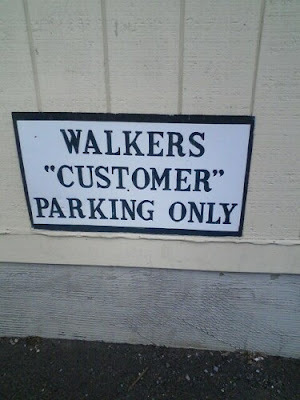 If i get you right Paul, you think the sign should be 'corrected' to read "Walkers" customer parking only.